Trouble Seeing this Email? Try viewing it in a web browser . If poets and lovers of poetry don't write, publish, read, and purchase poetry books then we will have no say in the quality of our contemporary culture and no excuse for the abuses of language, ideas, truth, beauty, and love in our cultural life. Poetic Matrix Press was founded in the high mountain beauty of Yosemite in 1997 and has grown into a press that is producing full-length books as fine as any that can be seen on any bookshelf, in any bookstore or at any library. We are celebrating our 20 year Anniversary, 1997-2017, with an Anthology of our 45 authors and 60 books. Lush and passionate, politically and ethically astute, J.P Linstroth's poems awaken our sensibilities on every page, letting us see the human beauty central to our most intensely lived experiences. This is poetry that authentically holds experience still, at the apex of its own fragile beginnings. (Carol Smallwood's) greatest strengths lie in her own original content, and in that respect, A Matter of Selection soars not only as a follow-up to her past collections, but also as an independent entry into the modern poetic landscape. Be it the personal touches inside the profound "The Universe," the sensory allusions of "A Chemo Visit," the domestic snapshots shaping "The Sewing Box," or the startling social commentary beneath the short and simple "Examples," Smallwood ensures that just about every piece is surprising, unique, and resonant. As such, A Matter of Selection is a tour-de-force illustration of the potentials of poetry. What are Our Authors Doing? Rayn Roberts continues writing and has published in anthologies and literary journals across the nation. He is performing on Radio KSER 90.7 Everett, WA. regularly and been a featured poet at many venues in Seattle. He hosts a long established and popular reading at Green Lake Public Library in Seattle for PoetsWest featuring some of the best poets in the state of Washington, Oregon and California including WA State Poet Laureate, Claudia Castro Luna, Gaylloyd Sisson, Bill Carty, Kilam Tel Aviv, Tara Hardy, Sierra Golden, Chad Sokolovsky, Lola Peters, Art Gomez, Jimmy Jazz, Michael Klam, Pongo for at risk teens and others. As of 2018, he is continuing to promote and instill an appreciation for Poetry and English Literature. He has a new book coming out in 2018 and will tour Sweden, England, Ireland and Holland with, Chris Vannoy, the US National Beat Poet Laureate after they attend the National Beat Poetry gathering in New Hartford, CT. 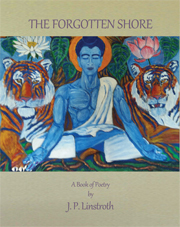 If you want to make the world a better place through poetry, support PONGO: http://www.pongoteenwriting.org/. I'm busy preparing my next book, At This Table. It bears the same name as the 5 minute documentary on my site, also featured on the National Geographic Short Film Showcase at this link . I'm very grateful that over 30,000 people have viewed and listened to it. Material for this book was included in Muir Ramble Route-Walking from San Francisco to Yosemite in the Footsteps of John Muir by Peter and Donna Thomas, published by Poetic Matrix Press in 2010. My work is being used as part of the humanities and creative writing curricula in several colleges and universities and has been featured in several international anthologies, most recently in "IN the Shape of a Human Body I am Visiting the Earth" from McSweeny, edited by Ilya Kaminsky. I have presented from Baker of Tarifa in Granada, Spain, just a few miles away from the Alhambra; I have also presented at SOAS, York University, Agnes Scott College, Koc University in Istanbul; LUMS in Lahore, Lahore Literature Festival; Chicago University Pakistan Club, and Poets House among many other places. (The interview was conducted before Spokes of Dream and Bird was published, so Poetic Matrix Press is not mentioned, but Neshama has the book in the Fairfax Library, and it's also available in the Marin County library system through John Hart's efforts in creating an Activist archive.) Thanks again for publishing the book. Following on his 2016 volume On Freedom: Organizational Science Examined Philosophically, PM Library, Peter applies this examination of Freedom to the fields of Law and Economics. Due out later in 2018. With the death of Larry Havey the founders of Burning Man, this desert event again has been in the news ( Burning Man August 26 - September 03, 2018 Black Rock City, NV). 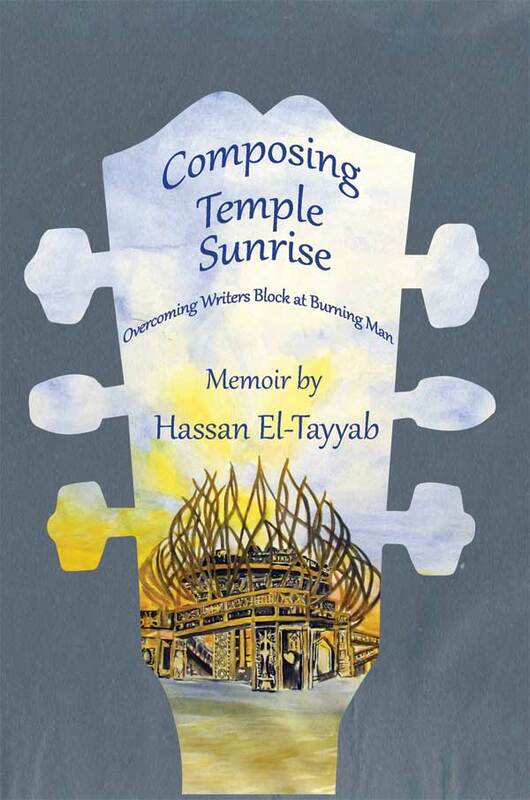 In Hassan El-Tayyab’s memoir, Composing Desert Sunrise: Overcoming Writer’s Block at Burning Man (Poetic Matrix Press), this desert event is the focal point that sees this musician begin to write songs again. Hassan, besides being an incredible musician, song writer, and author is also a peace organizer with Chicago Area Peace Action He will be going to Hiroshima and Nagasaki in August to speak of World Peace at their annual celebration of Peace. Composing Temple Sunrise will be available from poeticmatrix@icloud.com for the special price of $10.00 plus shipping until the end of Burning Man. As we head into another hurricane season, past hurricanes still linger in Puerto Rico, Texas, New Orleans, and Sandy in New Jersey. Headlines are gone but the effects linger. What of the people affected? Lyn Lifshin’s book Katrina, written at the five year anniversary of that hurricane is a telling, by a fine poet, of the people’s lives during that event. In her fine poet’s voice she tells their stories, stories we rarely hear. We had the privilege of publishing that book. It is still available. A Korean-American Life we have published four books from Korean-American and Korean authors. After Song of Myself Yearn then brought us Mun Duk-su’s important book The Postman, Mun’s long poem with commentaries based on his experience in the Korean War. That War enters deeply the current conflict with North Korea. Our press did this book in hard cover and it was part of Mun Duk-su’s presentation as he was nominated for the Noble Prize in Literature in 2010. A great honor for him and also for Poetic Matrix Press. Two more books came though Yearn Choi: Triumph at Last: A Korean-American Life, a memoir by Steven Soo Hyun Kim, and I am Homeland, edited by Dr. Yearn Hong Choi this anthology features 12 senior Korean-American poets and 120 poems. It has been our pleasure to work with Dr. Choi on all of these projects and it is our hope that these works will in some small way assist in bringing peace to all Koreans. We at the Poetic Matrix Press would love to hear from you. Leave us a note at poeticmatrix@icloud.com. What do you like? What would you like to see? We hope our Newsletter is informative about what our press is doing. And thank you for reading! most likely in the course of a business activity. If you do not want to receive any more mailings, unsubscribe .